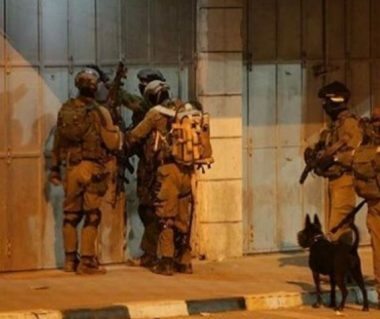 Israeli soldiers invaded, on Sunday at night, Wad Abu Kteila area, in the southern West Bank city of Hebron, and abducted three Palestinians in addition to confiscating one car. Media sources in Hebron said the soldiers abducted Jamal Karama, and confiscated his car; the soldiers also briefly detained his brother, Majd. The sources added that the soldiers also abducted two other Palestinians, who remained unidentified at the time of this report. Furthermore, the soldiers fired gas bombs and concussion grenades, in addition to rubber-coated steel bullets, at local protesters, causing four Palestinians to suffer the effects of teargas inhalation.